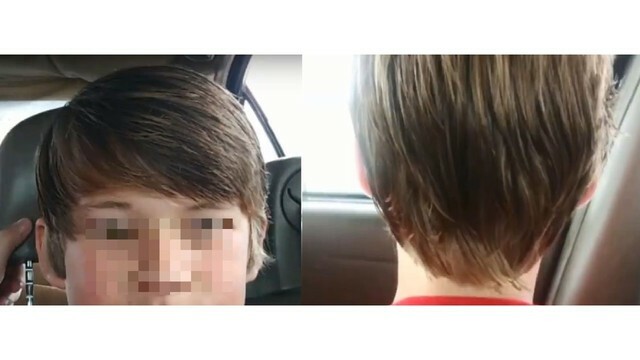 VAN, Tx (KETK) - This is a haircut most parents of teenagers recognize; after all, it's one of the most popular styles among teenage boys today. But Van Independent School District says AJ Hardy (pictured above) and his friend Cade Christensen are violating the dress code. "Without notifying me or anything else, they just put him in ISS one day," said Mark Hardy, AJ's dad. "I guess they had been telling him, but they put him in ISS. And so we went down and we got his hair cut, we got it styled, but it still was not to their liking." The boys have been sent to In-School Suspension every day for a week now. "I just don't think it's a good rule," said Christensen. "Punishing kids for how they look and how they want to look." "I think it's taking away part of their education, I think when they're in ISS, they have a coach that's in there with the students in there in ISS and they get their paperwork, but they don't have access to the teacher, they can't ask questions," said Marie Hardy, AJ's step-mother. "It's kind of like a girl wearing a short skirt, she can go to her house and change, but if I cut my hair, I have to wear it like this all the time and all the time at home," said Christensen. "The principal, he just isn't hearing it, he doesn't care one way or another, it's the policy, that's it," said Mark. But they aren't giving up anytime soon. In fact, Hardy and other concerned parents plan on protesting Monday morning. "We're going to go give information to parents and let them know the problem that's going on and just mainly bring awareness to the issue," said Mark.